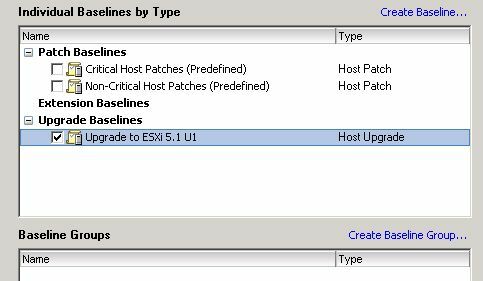 There are many ways to upgrade your ESXi Hosts from ESXi 5.0 to 5.1 – eg. with a script, via commandline (esxcli) or using Auto Deploy. 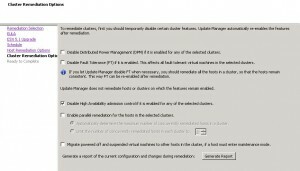 But did you know that you can use VMware Update Manager, too? 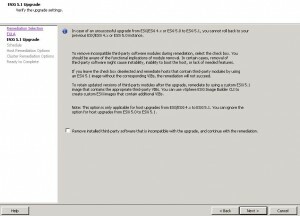 Download the binaries from VMware.com or from your hardware vendor if there is an customized VMware ESXi Image available. Now you have to attach the baseline to your cluster. 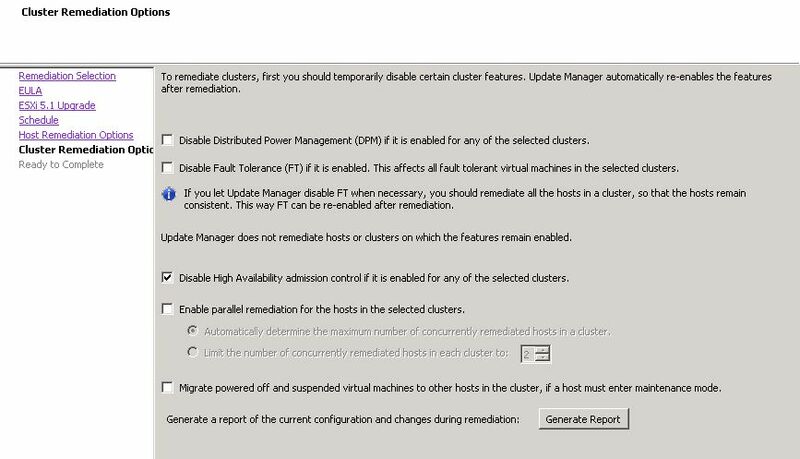 Open “Home and Clusters” and select the Cluster with the ESXi Hosts you want to upgrade. Now you can scan your ESXi hosts against the new defined baseline. 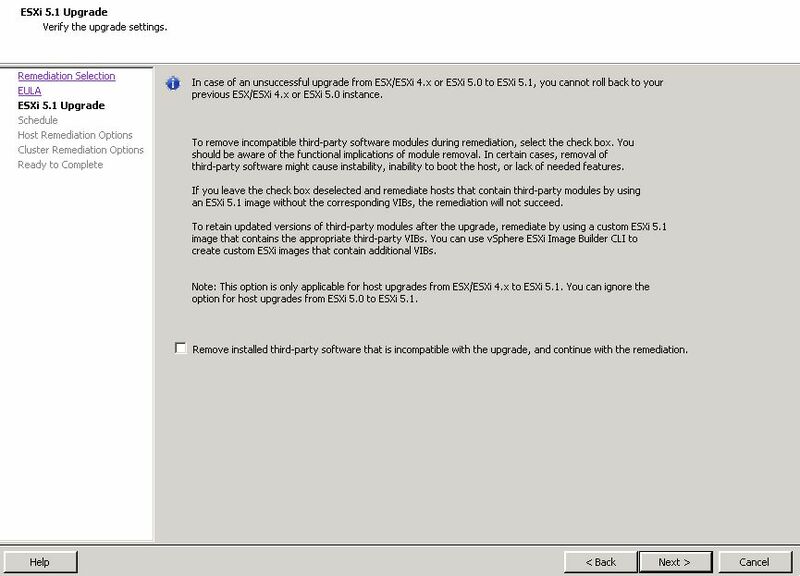 Select an ESXi Host and click “Scan for Updates”. The scan takes some minutes. When it is finished you can see if the host is compliant or non-compliant against the baseline. To perform the upgrade, right-click the host and select “Remediate”. Check the “Ready to complete” summary and click “Finish” to start the upgrade process… and cross your fingers that the task complete successfully!